Good Evening!!! I hope you are all as excited as I am to get this going once again! I will share the rules again because they must be followed but I will write the basics in here for what you need to know!! Submit an essay (length is really up to you – make sure its enough to tell the story) about whom you are nominating, why and tell us about their family dynamics. You must submit 1 photo that will show the bathroom in its entirety or 2+ if necessary so we can “get the picture”. A brief overview of the rules on submission: Must be in Mower County, Must be owner occupied (No rentals), Must be able to show proof of home ownership, Must have valid ID with picture. This is just a basic rule overview, the lengthy part can be seen in the Contest Rules. 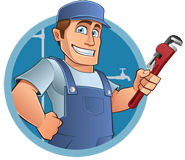 The bathroom’s renovation will be in the complete hands of T ‘N G Plumbing and all its fabulous partners that have joined. Please keep in mind – this is not an ugly bathroom contest, its about a family/person in NEED of it. Also meaning this is based on financial need. It’s so amazing to have such a crew! One life at a time – we can make a difference when we come together!! Ok – lets get this started! Please share this to get it around! Torge’s Live Sports Pub & Grill! And special thanks to Wellness 1st Chiropractic for the massage certificates! If you or anyone you know would like to help – please give us a call! We will share our good experience with others! A family company with a heart of gold. Great customer service! Will continue to call if needed in the future. I have used these two after a friends recommendation and they are knowledgeable, friendly and fair priced. You guys are absolute saints. My neighbor was in a bind and you managed to come to the rescue at such a off time. Bless you. My neighbors are so thankful. Thanks for the nice job & clean up – will call again – your name is on our building board for Great Service! Thanks for taking care of the water heater. You guys rock! Copyright 2015 T' N G Plumbing | All Rights Reserved | Hosted & Designed by TT-Inc.